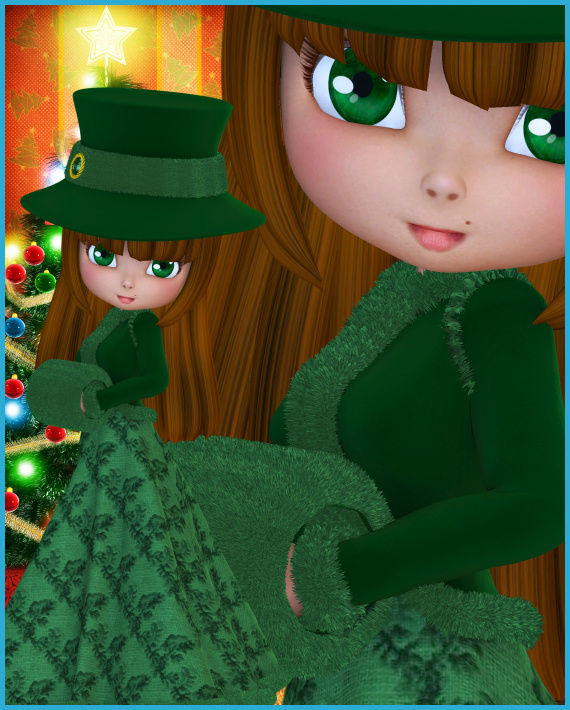 Cookie’s winter outfit looks so warm and plush–perfect for a snowy day. These graphics will certainly inspire holiday cheer. 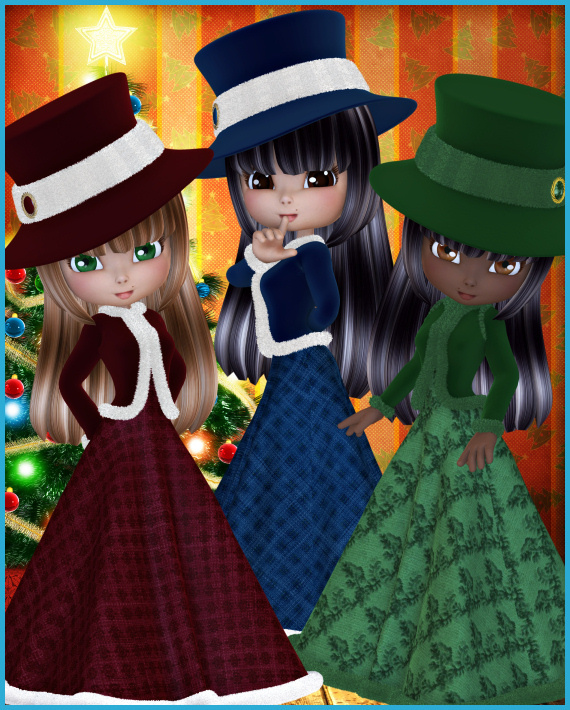 finery for your holiday designs. Winter Cookie Tubes, a collection of cute Cookie characters bedecked in fur-trimmed, winter finery. These elegant ladies come in red, green, blue, and a dazzling, wintery-white outfit, which seems to hold a bit of magic–great for New Year’s. Though these characters have a festive, holiday look, they’re not just for Christmas alone. The various color themes would perfectly grace many different types of creative projects, including winter, Hanukkah, New Years, St. Patrick’s day, and more. An African version of each character is included. There are 48 royalty-free, high-quality clipart PNG images in this package. All of these images have transparent backgrounds making it easy for you to use them as tubes or nozzles–or merely to drop into your design. The size of these images varies but are approximately 1100 X 2100+ pixels. All are 300 DPI, making them great for print projects. Members can use the tubes for personal or commercial projects, including web design, template design, graphic design, t-shirt design, candy wrappers, scrapbook projects, signature tags, print designs, and much more. But please read my terms to learn more. If you have any questions, please email me. This package has been divided into two zip files, which are about 60 MB each.